Bobby was found 900 miles away from his Montana home in Nevada. Thanks to his microchip, he is on his way back home after almost two years missing. Bobby made it back home. After being away from home for almost two years, the cat was found in Fallon, Nevada, 900 miles away from his Great Falls, Montana home, thanks to his microchip. Bobby went out and never came home one night. Losing a pet can be an owner’s worst nightmare, but 73-year-old Kyle Peterson held out hope. For over a year-and-a-half, Peterson set out Bobby’s special food, knowing the feline would return. Never did he nor his family suspect they would receive a call from almost 900 miles away that he had been found. Bobby boy has done it again. My parents cat has gone missing around 6th and 8th Ave North. No collar but he does have a microchip. If anyone has seen him please call Kyle Preston. He’s well loved and dearly missed. Please keep an eye out for my dad’s beloved boy. Forgot to mention he only has a half tail and he’s on a special diet. On September 25, an orange tabby was found on the streets of Fallon, Nevada. 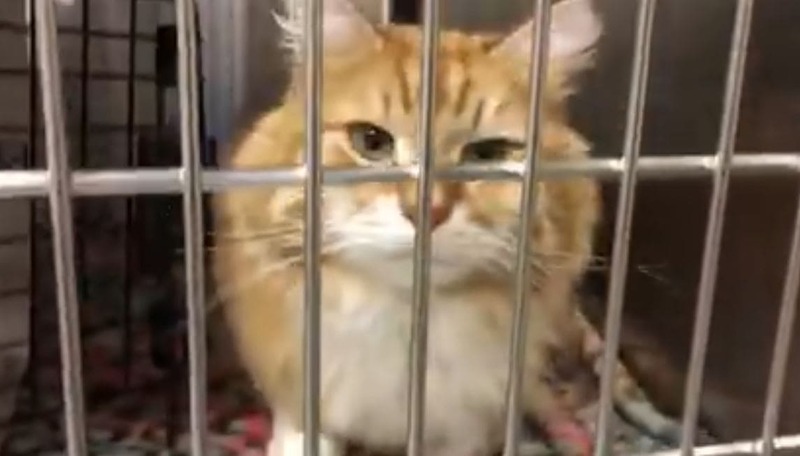 Picked up as a stray by local Animal Control and taken to SPCA of Northern Nevada. The organization did a scan and discovered the lost kitty had a microchip. The collected information showed Bobby had been on some journey, from Great Falls to Fallon. The family was contacted and thrilled to find out Bobby was alive and well. The next step was to get the roaming cat safely back home. Original reports shared the Petersons had a family friend associated with Delta that would transport Bobby back home. However, it was realized a woman named Barbara, a member of the Lost and Found Facebook group in Bozeman, Montana, had actually volunteered to take him the distance. 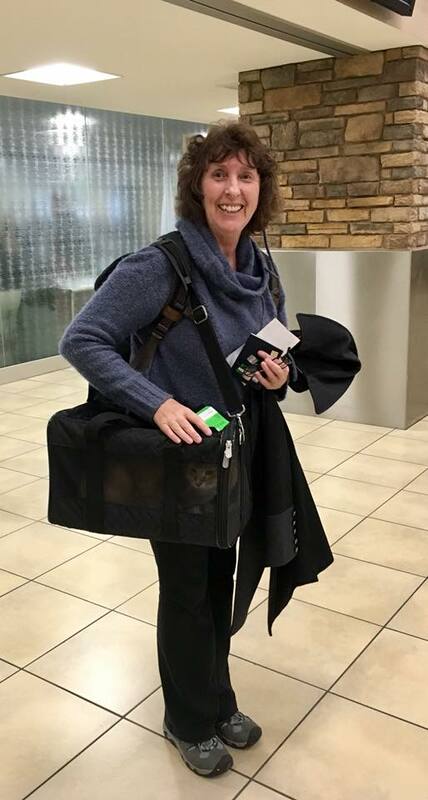 She met up with the SPCA team at Reno Tahoe International Airport and the pair headed off on their travels. Luckily Bobby is microchipped so when Fallon Animal Control scanned him, they found his proper owner- a 73-year-old man named Kyle, who has been searching for Bobby since he went missing. Kyle never gave up hope, he even put out special food for Bobby every night, hoping to coax him home. Bobby couldn’t smell the food but he’s headed home TOMORROW!! Peterson was completely overwhelmed at having Bobby back home. In fact, his family didn’t tell him it was Bobby they were picking up at the airport. Kyle Peterson speculates that Bobby may have unknowingly hopped a train. Seems that is a distinct possibility, given his home is directly across from the tracks. Add in the terrain and the many miles from point a to point b and it all makes sense. All-in-all, while it was a long time to hold out Bobby would return safe and sound, the episode speaks all the more for the need for owners to make sure their pets are microchipped. Thanks to the one the wandering cat had, he was able to get back to the family who loves him for the microchip, the SPCA, a Facebook post, and a kind stranger.